Now that we've passed the midway point of 2015, it's not too soon to take a peek ahead at what's in store for Philadelphia in the coming year. As the city's profile continues to build through an urban renaissance, next year will bring several highly anticipated openings and events. The success of Spruce Street Harbor Park in its second year is just the beginning of a reimagining of Philadelphia's urban spaces that promise plenty of summer recreation. 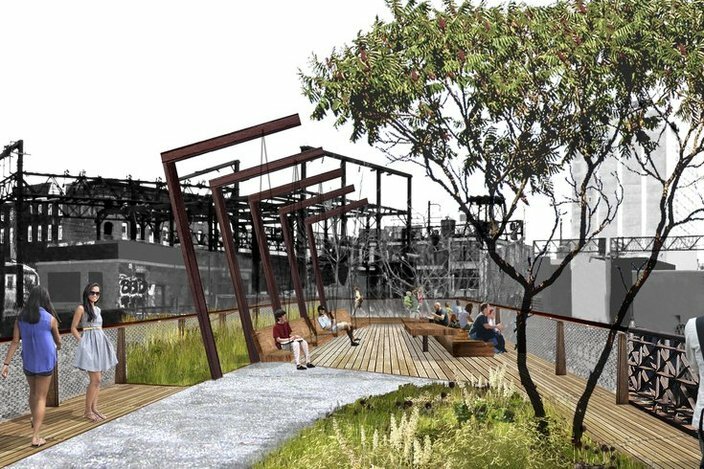 As part of the upcoming Philadelphia Rail Park, a three-mile stretch along the abandoned Reading Viaduct, the Philadelphia Horticultural Society will launch a pop-up garden in the summer of 2016. With funding from the Pew Center for Arts & Heritage, the PHS pop-up garden will be part of a larger series of installations at the Rail Park that highlight the history of the viaduct with modern appeal. 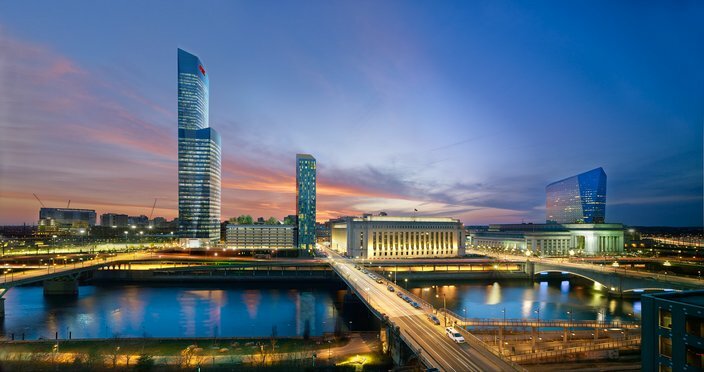 Philadelphia's skyline will welcome a newcomer in University City next spring with the arrival of FMC Tower at 30th and Walnut streets. Designed by Pelli Clark Pelli Architects, FMC Tower will be a "vertical neighborhood" with 49 stories of retail, residential and office space. The skyscraper will also have its own elevated park, Cira Green, which will be open to employees and residents for relaxation, company events, summer movie screenings, and live arts performances. The FMC Tower, on the left, certainly makes an impact on the West Philadelphia skyline. (Pelli Clarke Pelli/Brandywine Realty Trust). 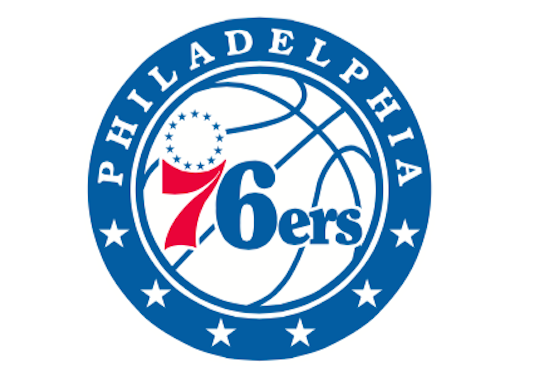 The Sixers may be wading through a down period, but with a rebuilt roster and state-of-the-art Training Center on the way in Camden, the team's fortunes can really only be looking up. Set to break ground in October, the 120,000 square foot facility (the NBA's largest and most advanced) will be located on the revitalized Camden waterfront and serve as home to both the team's basketball and business operations staffs. While the wait for LOVE Park's makeover may spill into 2017, the much-anticipated redesign is slated to break ground next spring. In March, New York-based design firm Hargreaves Associates released four proposals for the renovation of the 2.5-acre park at JFK Plaza. The overall goal will be to make the park more accessible, artistic and interactive while creating a strong link to the Parkway. Each design calls for a large green space near the park's center, a fountain, a garden and space for events and festivals. 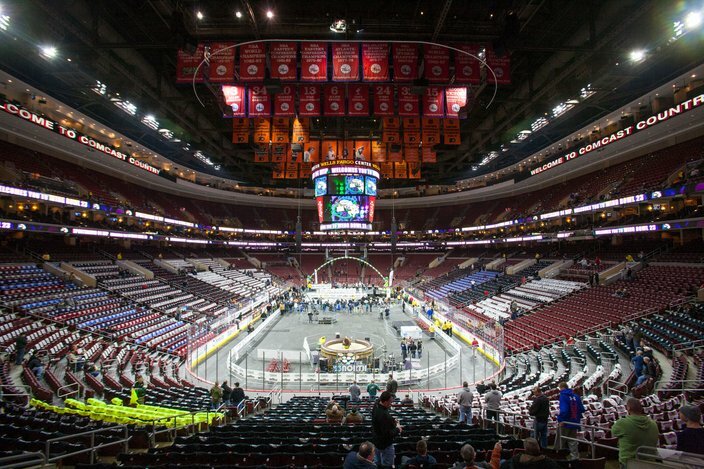 Not since the Republican National Convention came to Philadelphia in 2000 has the city had as visible an impact on a presidential election as it will from July 25-28 at Wells Fargo Center and the Pennsylvania Convention Center. When Philadelphia beat out bids by Columbus, Ohio, and Brooklyn, New York, in February, Mayor Michael Nutter said the convention will draw an expected 35,000 people to the region, with an infusion of between $175 and $225 million into the local economy. Hillary Clinton is the current front-runner among Democratic hopefuls, but regardless of what happens, Philadelphia holds the special privilege of nominating one of the candidates for 45th President of the United States.